Once a teacher, always a teacher—the phrase resonates with Patricia Welch. Formerly a lecturer of Chinese history and religion at Boston University, she had left the job for a series of marketing roles. Decades later and miles across the world, Patricia has found a way back to the profession. 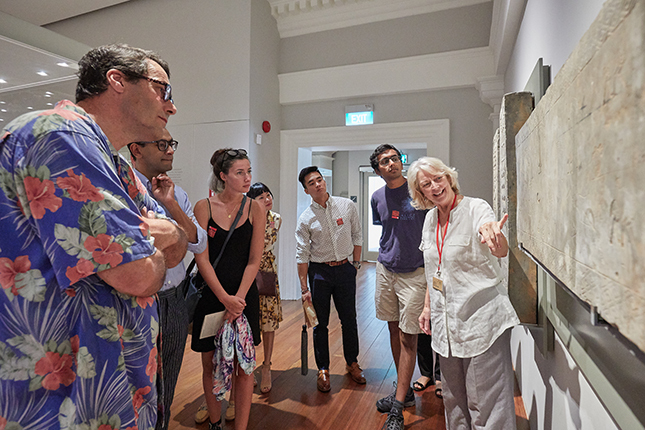 Now, she spends most of her time voluntarily training docents, who lead tours at nine museums and cultural institutions around Singapore. “Although I left academia to work in the private sector, I always knew I wanted to return to that field. I believe in community service, but felt it was also important to use the skills and knowledge that I had acquired in the field of Asian art,” Patricia said. “Being a volunteer docent—and given my education and experience, a trainer of docents—is, for me, the perfect combination,” she added. Born in Wisconsin and raised in Cambridge, Massachusetts, Patricia was aged 18 and a pre-medical student when she discovered a love for Asian history. “I have no idea what it was. Something just hit me right away, and I fell in love,” she said. Patricia switched majors to Asian Studies at Boston University, where she also attained her Master’s Degree before continuing Chinese Studies at the University of Oslo, Norway. In the late 1980s, she relocated to Bangkok, and signed up as a volunteer guide at its National Museum. When Patricia moved to Singapore in 1994, she was on the lookout for similar opportunities. That was when she discovered Friends of the Museums (FOM), a non-profit organisation with nearly 2,000 members. The organisation provides financial support and weekday guiding services to museums and cultural institutions. “Although I was working full-time, Friends offered free Monday Morning lectures and a large array of other activities, including study groups and tours, so I joined,” she said. She has not looked back. Besides joining FOM, Patricia also became a member of the Museum Volunteers, a community of English-speaking guides who give tours on the weekends. Now that she is retired from full-time employment, she guides for both FOM and the Museum Volunteers. “More than half of my friends in Singapore are fellow volunteers because that’s where we met! Volunteering is a great way to meet like-minded people,” Patricia shared. Most docents giving tours on weekdays are expatriates like Patricia. “So, don't be surprised if you visit, say the Indian Heritage Centre, and find your guide a German or Brazilian,” she said. Guiding at the Asian Civilisations Museum is among her favourite experiences. Visitors are given a glimpse of Singapore as an “ancient emporia” for the trading of goods. For instance, ivory from Africa passed through the city-state before being carved by the Chinese, Patricia explained. 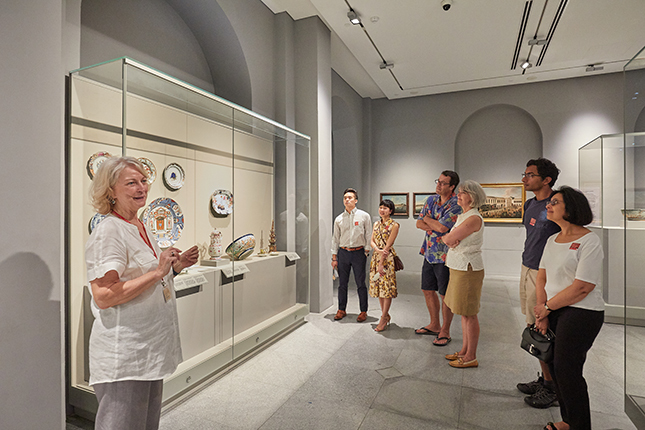 In 2015, she became involved in the training of FOM docents at institutions such as the Asian Civilisations Museum, Peranakan Museum, and Singapore Art Museum. Patricia also served on the FOM Council and was FOM’s webmaster for three years. 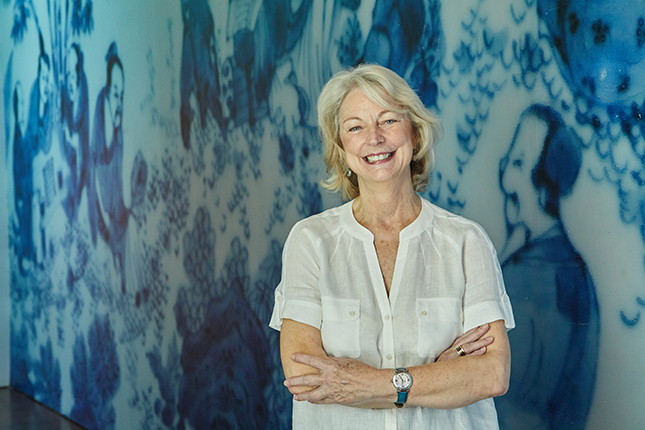 In 2016, Patricia was appointed Co-head of Overall Docent Training. She spends most of her time structuring and coordinating preparatory programmes which can be completed in 8 to 24 weeks. “When we review applicants, we look for people who like being with people, who are keen to learn and make learning fun. We assume no prior knowledge whatsoever, which is why we have a large number of non-Singaporeans who also volunteer for our programmes,” Patricia said. On top of guiding and training docents, Patricia also leads study tours to China for FOM. Volunteering is a family affair in the Welch household. Patricia's husband volunteers in his areas of expertise, primarily sitting on academic advisories. Both her daughters have careers in the field of social work. One is a psychologist working primarily with young people. The second works with paperless refugees in Europe. They are also active volunteers in their free time, working with displaced and special-needs individuals, Patricia shared. The small moments of guiding are close to her heart. Once, Patricia had a seven-year-old visitor on a tour around the Asian Civilisations Museum. “I chose to speak to the girl, rather than leave her out. I told her that being interested in history requires some detective work. By looking at a statue, you can figure out what people wore, did and thought about life,”she said.